I haven't done a 5 on Friday in a while, but I actually have 5 things to share this week! 1. First off, I'm super excited that I am finally starting to fit into my pre-pregnancy jeans!!!!! Woohoo!!!! 2. 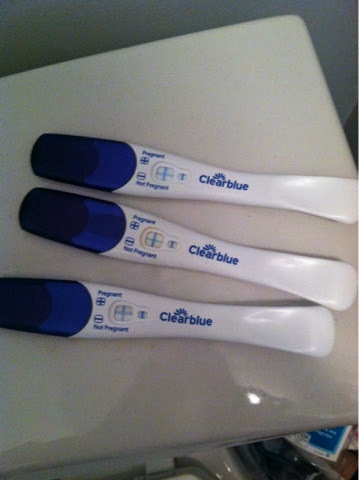 Today I'm feeling a little nostalgic, as it is the day I found out I was pregnant last year. So crazy to see how much my life has changed in a year. I'm a little sad thinking about how I was just beginning this whole adventure at this time last year...but then I think about that god awful morning sickness and I don't feel so bad! 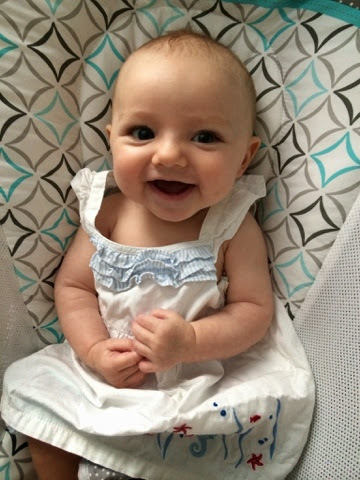 I'm happy to have Ella out in the world rather than in the womb any day! 5. This weekend I will be heading to none other than Cleveland, Ohio for my bestie, Natalie's, bachelorette party!!! But seeing this little face on Sunday night will be worth it! That's great you have an entire year to take if you want. I bet that relieved a lot of anxiety for you! 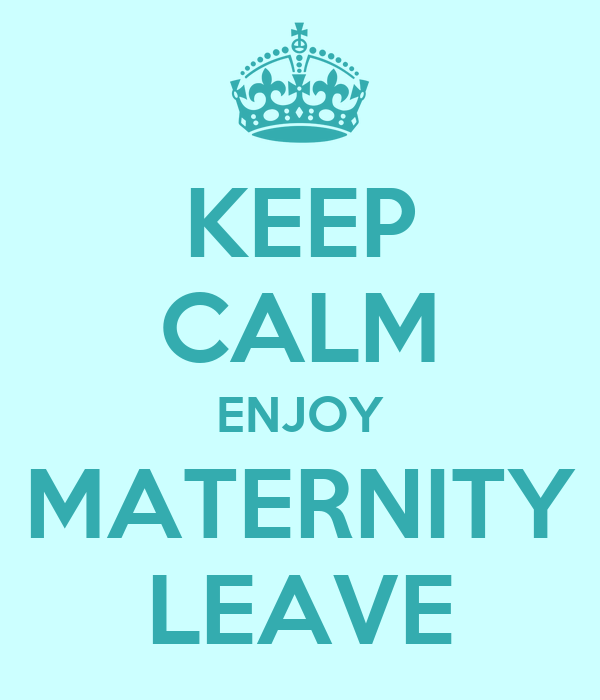 Great news on the maternity leave! You are very lucky to have that option, and Ella is very lucky to have another 6 months with you! Have fun in the Cleve! Have a GREAT time on your trip!! You deserve a fun weekend away (even if the pump has to come along!) and Ella will miss you but will also be just fine. Enjoy the time apart!